W&H Supplies are holding an ESSE electric cooker demonstration with Phillipa of Bluebell Farm Cookery School – These entertaining and informative events have proved very successful in the past, and ESSE representative, Phillipa, will bake some tasty treats. 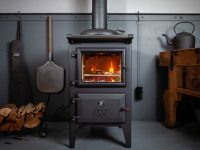 Guests will see the ESSE range cooker in action, learn about all the features, be guided through their top tips and techniques for cooking, and sample tasty dishes. W&H Supplies Range Cooker showroom in Ford, Arundel is the main dealer for ESSE Cookers in West Sussex. They offer an ESSE cooker for any home – from cottage to stately home, modern apartment to retirement bungalow. The South's Largest Showroom with over 250 fires, stoves and range cookers.